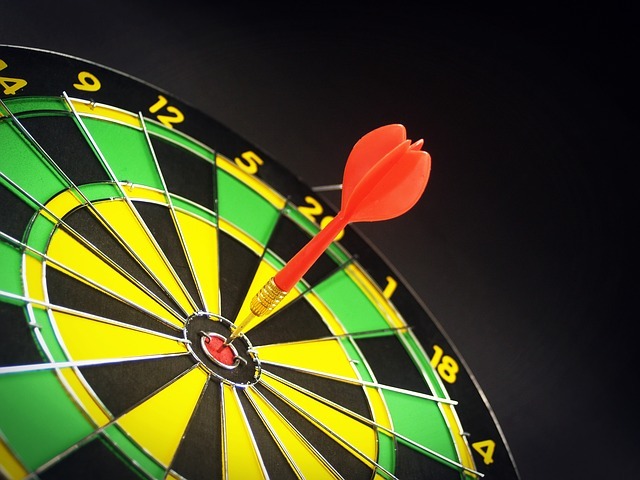 Did I Achieve My 2016 Writing Targets? In the first week of 2016, as tradition dictates, best writing chum Tracy Fells and I met up in our favourite teashop for teacakes. We weren't just eating teacakes though, we were setting our writing goals for the year. You can read the full post here. Well, 2016 has been a strange year writing wise - a bit of a roller-coaster if I'm honest. My hope that this year would be 'the year of the novel' hasn't come to pass (I'm keeping my fingers crossed for next year) but it's not all been doom and gloom. I've had many stories published in three different magazines and this year, four of them have been turned into audios as well which has been very exciting. But what of my targets? The results are below and you can see that they are a little mixed. Goal: To find an agent to represent me. Achieved? Yes! At the beginning of the year, I was thrilled to be offered representation by the Eve White Literary Agency. You can read how it came about here. 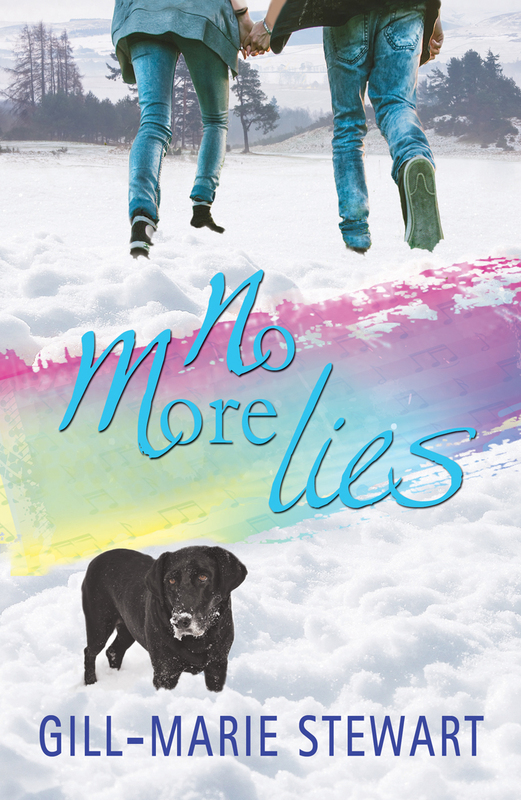 Goal: To have written 50,000 words of novel two by the end of August ready to submit to the RNA New Writers' Scheme. Achieved? No. The writing of novel number two had to be put aside as I was working on substantial edits for novel one. This was the novel I eventually submitted to the scheme and I can't thank my reader enough for her incredibly helpful comments. Goal: To publish at least one more story collection. Achieved? Sadly no. I can't self-publish any more story collections while I am under contract. Goal: To write at least two short stories a month. Achieved? Absolutely. Most months I've managed to write at least three. They've been a life saver during the often roller-coaster ride of novel writing and editing. ... and that's it folks. All that's left is for me to wish you a very Happy New Year and thank you all for supporting my blog in 2016. Today, as tradition requires, I shall be looking back at all the lovely things I've been doing this year (excluding general story sales). January - I started the year with the usual teacakes and goal setting with writing chum Tracy Fells and I shall be posting how I got on with them after Christmas. I re-joined the RNA New Writers' Scheme and Anita Chapman was my guest, talking about social media. February - This month was the fifth anniversary of the day I started writing. 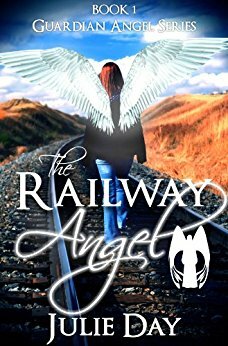 I wrote a post on writing ghost stories and my blog guest Phillipa Ashley wrote about breaking writing rules. March - Big news this month was that I was signed by the Eve White Literary Agency. 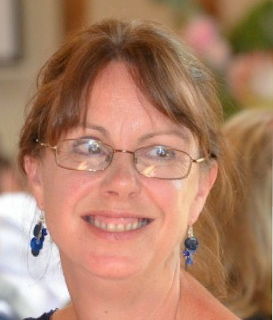 I was interviewed by Helen M Walters in Writer's Forum about what I look for as a story competition judge. 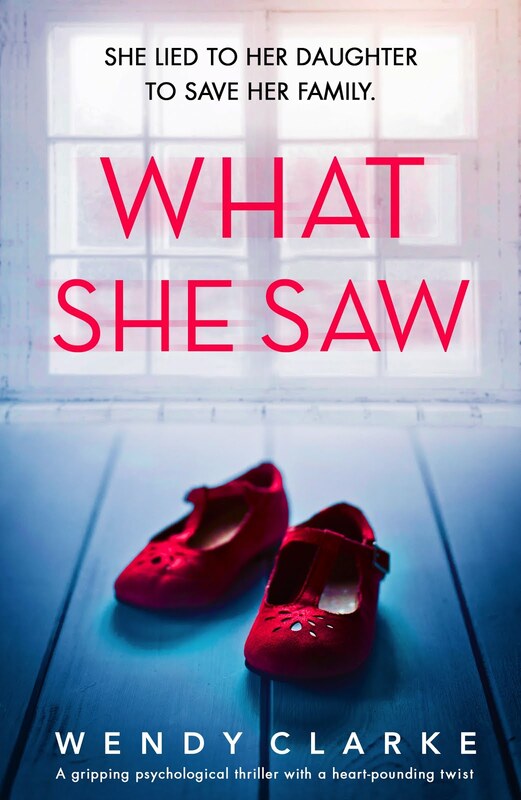 Debbie Howells was my guest, talking about writing psychological thrillers. April - Went on a fabulous Lake District holiday. May - Visited beautiful Sorrento and the Amalfi Coast. Elaine Everest was my guest, talking about the new novel, The Woolworths Girls. Had my first attempt at dumper truck racing! June - Had an inspirational weekend in Florence. Went to the RNA summer party. 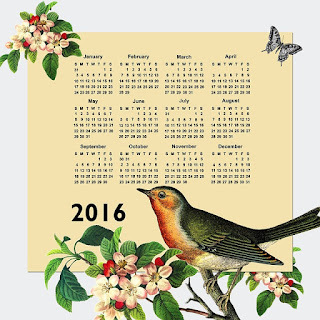 July - There were three lovely guests on my blog this month: Lynda Stacey (writing a debut), Becca Puglisi (show not tell your setting) and Helen Yendall (magazine writing). August - Wendy's Writing Now had its 4th birthday. 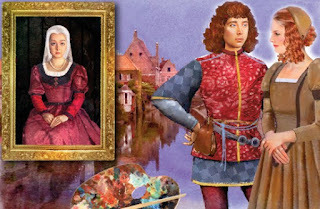 I was interviewed by Simon Whaley for an article in Writing Magazine about writing seasonal stories. September - Had our annual holiday in Greece - this time the wonderful island of Ithaca. October - Three guests this month: Julie Day (writing with asperger's) Cass Grafton and Ada Bright (successful co-writing) and Emily Royal (the RNA NWS). This month saw my story Too Good to Last published as an audio which you can listen to here. I was judge for the Nottingham Writers Group Rosemary Robb Ghost Story Competition and wrote another post on writing ghost stories. November - This month, I went to the RNA Winter Party. 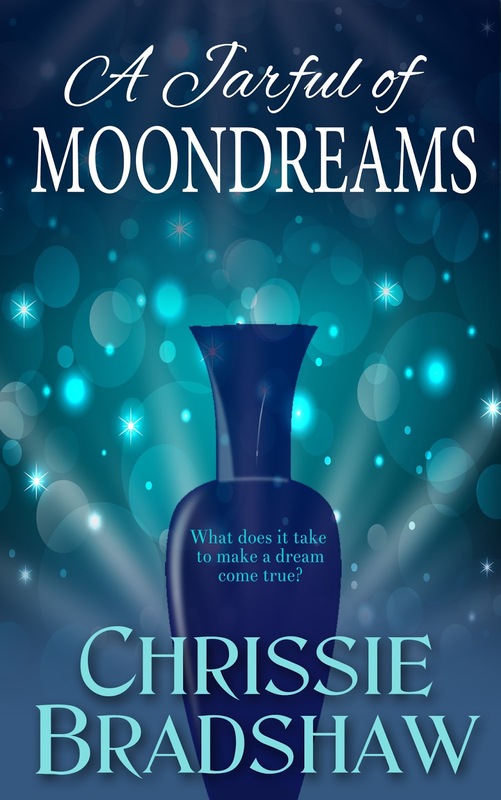 My blog guests were Kate Blackadder, Chrissie Bradshaw and Gill Stewart (writing cross genre). 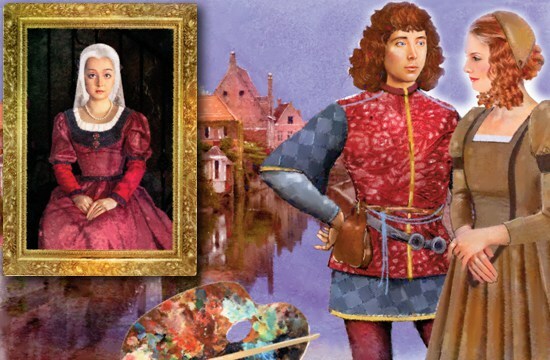 My story The Artist's Apprentice was published as an audio which you can listen to here. December - The final month of the year saw a new updated version of Wendy's Story Timeline (interactive timeline). 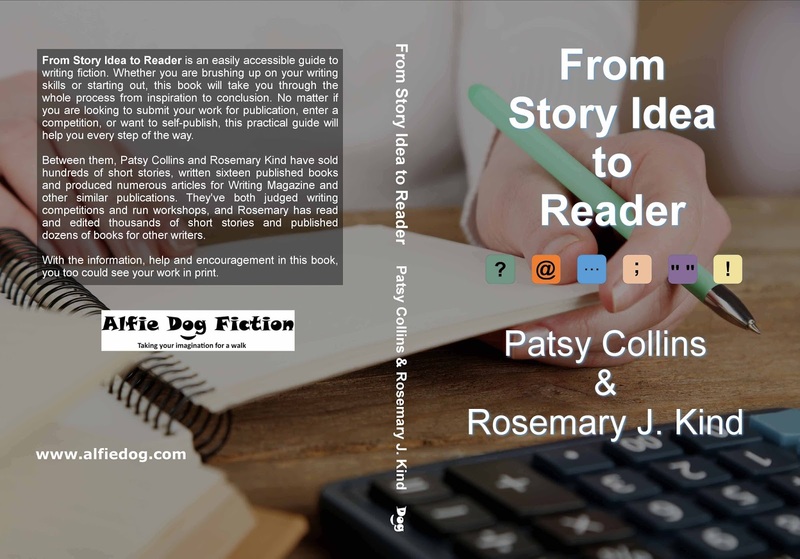 My final guest of the year was Patsy Collins talking about her new writing guide. 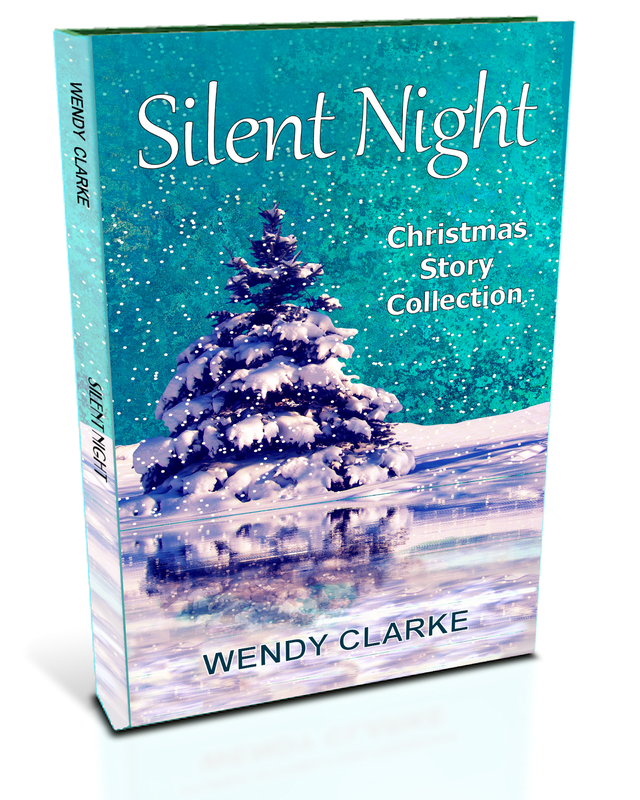 Finally, I had four Christmas stories published in magazines and The People's Friend made an audio of another of my stories, The Girl in the Striped Sundress which you can listen to here. All that's left is to wish you all a Merry Christmas... and I'll see you back on my blog after the festivities are over! Wendy's Story Timeline Calculator Updated! 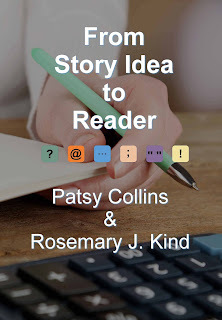 Last week, Patsy Collins, was a guest on my blog introducing her new writing guide, 'From Story Idea to Reader' (you can read the post here). In her book, under the chapter heading of 'useful reference materials', she provides a link to my Story Timeline Calculator. That's easy to answer: it's what it says on the tin. It's a pretty fabulous tool for working out your story/novel's timeline, created for me by my husband when I got bogged down with paper and dates while writing an historical story. I don't know how I managed without it. Just click on the timeline picture in the sidebar (or here) to find out more about it and download. Why am I mentioning it again? Because Wendy's Story Timeline Calculator has just been updated... cue fanfare! "This is great for me as I always get a pickled brain writing my novels. They're family history inspired and call for past events connecting to the present so your time-line will be a brilliant help to me!" "I'm working on a novel about the lives of several generations of people in a French village, so this will be invaluable." "I can't even begin to find the words to express my appreciation. 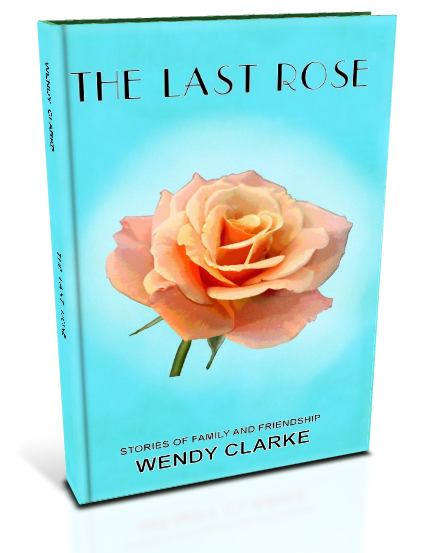 My first novel was a historical fiction that spanned generations and this would have saved me tears." My timeline calculator is free to download and use but if you want to make a small contribution to the hard work that's gone into it, there are a couple of my short story collections on the sidebar to choose from, each for the price of a cup of coffee! If you find my timeline useful, please let me know in a comment and, if you share it, please credit this blog and provide a link to it. This week's guest needs very little introduction - it is our very own Patsy Collins of Womagwriter fame. 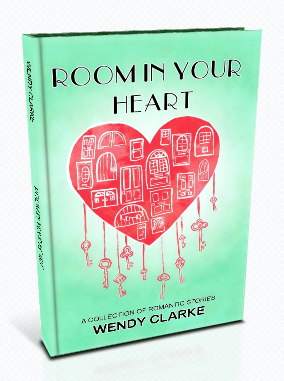 It's always a delight to welcome a fellow short story writer onto my blog and I'm even more pleased because she (along with writer Rosemary Kind) has written a new guide to writing short stories. 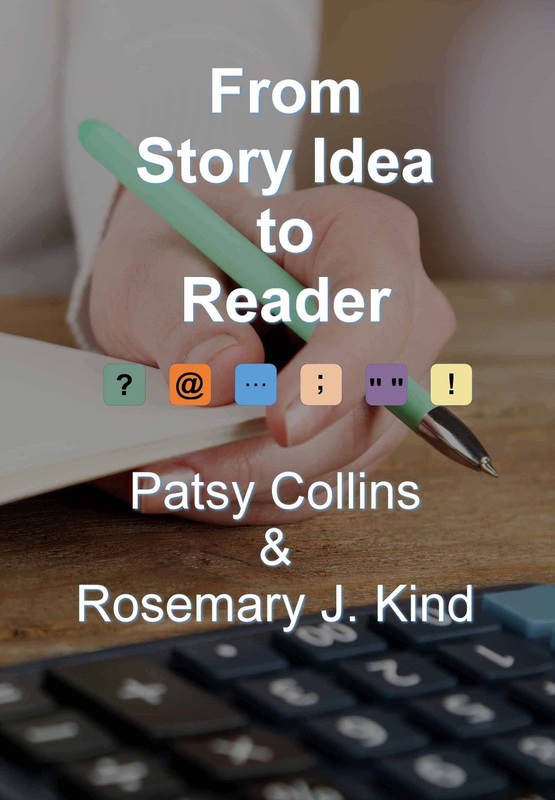 It's called From Story Idea to Reader. With hundreds of magazine stories and competition wins under her belt, there is nobody better qualified to write a book like this and if you aren't already a short story writer and are thinking about having a go, I'd wholeheartedly recommend it (there's even a mention of my rather nifty Story Timeline in it). So without more ado, let's start the interview. It's all my husband's fault! He said as I'd written articles (for Writing Magazine) about writing, a book was the logical next step. Logical? Yes, maybe, but also huge and a bit daunting. I happened to mention this to Rosemary who immediately suggested a collaboration. 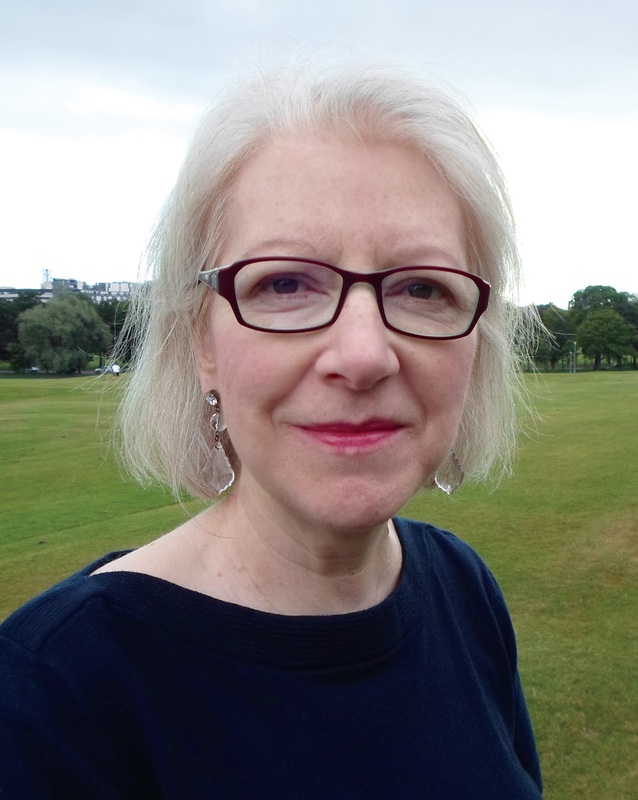 Fairly quickly I realised her work as an editor and publisher plus the fact she can explain grammar, in a way which actually makes the subject clearer, would be assets. We soon started planning what we'd do if we went ahead. Rosemary created a list of the topics we'd like to cover. Alongside each were initials. Mine were against subjects such as getting started, generating ideas, finding time, women's magazine fiction, competitions, staying motivated, getting and using feedback, keeping submission records... All things I knew about and was happy to tackle. As soon as we saw we really could do it we were eager to start. How long have you known Rosemary? We first met about nine years ago on a writing forum and then a critique group. It's amazing how well you can get to know someone through their writing, especially when you're part of the process. We've helped each other with our short stories and novels. 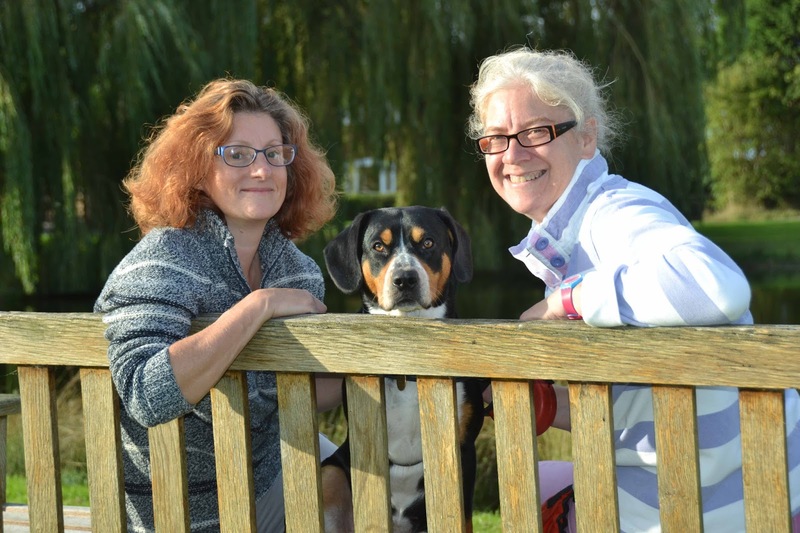 Rosemary has edited some of my work and published it through her company, Alfie Dog Fiction. We've even met for real a few times. On each occasion there was less cake and more dog walking involved than you might imagine. It would appear she's a good influence. Was it difficult to co-write or was it all plain sailing? Pretty much plain sailing. In fact I wrote a few short sections on board a ferry! I'm not saying we never suggested that something the other had written could be improved (and other creative ways of expressing that general sentiment) but knowing this was solely for the good of the finished book meant I didn't mind rewriting until we were both happy. Rosemary still replies to my emails, which I'm taking as proof she feels the same way. That depends how you look at it. We've both spent years building up the knowledge, experience, articles and course materials the book is based on. But once we had it all planned out we completed most of the new writing in around six months. We both write full time so, although we didn't concentrate solely on this project, that represents a lot of keyboard hours. What can this book offer that other writing guides can’t? It really does take a writer through the whole process from hunting down ideas and the basic equipment needed, through making the work the best it can be, to ensuring it gets read. 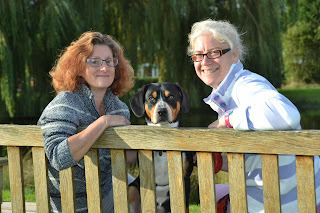 Between us we have experience of being published, of editing and publishing our own stories, and those of others. We've won, and run, and judged writing competitions. Most of all though, we're writers. We love writing and want to help others enjoy it too. 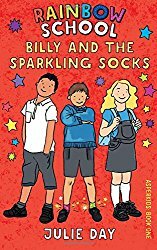 Did you find writing a resource book harder than writing fiction? Not harder, no. It's different, just as writing a short ghost story is different from writing a romantic novel or an article. Although it's been done to make it more accessible to the reader, having the information broken down into shorter sections probably helped with the writing too. Is there advice in it that you wish you’d followed when you first started? The exercises would have helped. Immediately applying something we've learned really does help retain the information. Naturally I'm biased, but I honestly do think many writers, particularly those just starting out or returning to writing after a break, will find From Story Idea to Reader useful and encouraging. In just over a week's time it will be Halloween. To be honest, I've never been a huge fan of this celebration and even when my children were young, we were never ones for Halloween parties or trick-or-treating. 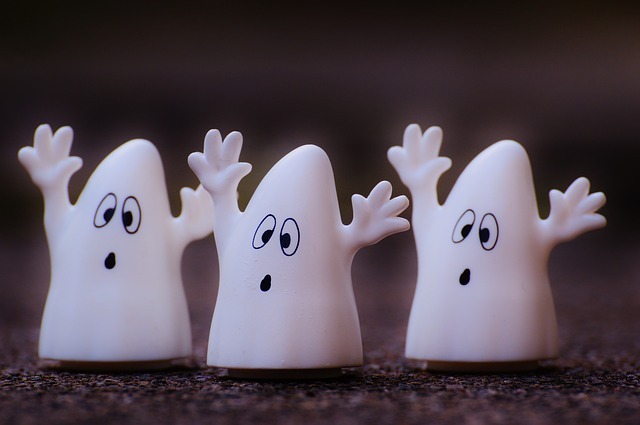 What I do like, though, is writing and reading ghost stories and this week I've been getting in the mood for all things ghostly, having just judged the Rosemary Robb Ghost Story Competition for the Nottingham Writers Club. I was asked to be adjudicator after the organiser had read one of my blog posts in which I explained how I'd crafted the ghost story that had just been published in Take a Break Fiction feast. If you'd like to read the post, it's called, Ghost stories don't need to be scary. There's been some talk on Facebook recently about the importance of selecting the right judge for a particular competition. I agree that matching a judge to the genre is crucial. If I was asked to read a selection of play-scripts or crime novels, I might know which one I liked best but I would find it hard to explain why I thought the entry worthy of being the winner. Why? Because I wouldn't know the craft of that particular type of writing. Equally, I would be in no position to explain why the entries that had not won, had fallen short of their mark. On the other hand, short stories in general, romances and magazine stories are things I know about and have had success with. This is why I have been happy to adjudicate stories in these areas - thank you to the Chiltern Writers' Group and the SWWJ for asking me. If you haven't already read my post on being invited to hand out the prizes at the the SWWJ Christmas tea alongside Sir Tim Rice, you can read it here. So why did I say yes to judging the ghost story competition? It was because, as I said earlier, I love reading a good ghost story but more importantly because I have had success writing them myself otherwise I wouldn't have agreed. I've written eight to date - one that was long-listed for the BBC Opening Lines Competition and the others published in magazines (I even had the honour of writing The People's Friend Magazine's first ghost story). And that's what I want to talk about today... writing a winning ghost story. Of course, as with any competition or magazine submission, the judging is subjective to a great extent. Every adjudicator or editor will have a different idea of what they like in a ghost story. Some may like them to be chilling, others might prefer them to to be heartwarming, romantic or humorous. Whatever the judges preference, they will be looking for a well-crafted story that pleases. One where the narrator of the story is the ghost. One where the narrator of the story is being haunted. One where there is no ghost at all (there is a rational explanation for any ghostly happenings). For my own part, apart from the competition listing, all my stories have had a ghost that's been a subtle presence rather than an 'in your face' apparition. More often than not, the ghostly character hasn't been revealed to the reader (or the main character) until the end of the story. See my ghost story breakdown here. That is how I like my ghost stories but that doesn't mean I don't enjoy one that is crafted a different way. Whatever type of ghost story you decide to write, there is one rule that needs to be followed to make it work. THERE MUST BE A REASON WHY THE GHOST IS HAUNTING. Sorry to shout that but it's really important. The ghost might have had a problem in his/her past life that needs to be resolved (which can usually only be done through the main character). The person being haunted has a problem which the ghost can help with. Whichever you decide on, the reader must believe the problem is important enough for the ghost to be there otherwise the story will seem unbelievable and the judge won't want to turn to the next page. The next thing to think about is the setting. What first comes to mind might be churchyards... old houses... a dark wood at night. Of course, these can lend atmosphere to a ghost story but your setting doesn't have to be dark and Gothic; an ordinary setting can work just as well. Why? Because the reader is more likely to be taken in by it. Settings of my own ghost stories have included: a sailing boat, an underground station, a school, a beach and a street like the one you might live in. Think of an ordinary setting and see how you could make it work. What about the ghost itself? They can be sinister or benign. Both work. I've even read a story where the ghost had been an animal or an inanimate object. Whoever, or whatever, your ghost is, remember to flesh them out (if that's possible with an apparition!) as you would any other character. Give your ghost personality, and emotions that can be recognised, and help the reader to picture them. Whether the ghost appears to be human or is just a shadowy spirit the reader will want to know if they are angry, sad, lonely or amused? These are all things to think about. The final thing I want to talk about regarding ghost stories is tension. If your story is a spine-tingler, be sure to build up the tension gradually. Don't tell the reader what is happening straight away - let them fill in the details. Drop in hints that all is not what it seems along the way. If you don't, you will lesson the impact at the end of your story. There will be no surprises and the judge/editor will say, "Okay, but I knew that anyway." Do you have any fears? If so, use them. I'll guarantee they'll be more believable than ones you've made up. You've thought about all these things and have written a fabulous wining ghost story. Right? Well, not necessarily. At the end of the day, your ghost story is just that... a short story. You mustn't forget the fundamentals of any story. Pace, story arc, a clear beginning middle and end, technicalities such as grammar, punctuation and dialogue and thoughtful word choices are all very important, as is a professionally presented manuscript. You can read what I look for as a competition judge here. So there you have it. 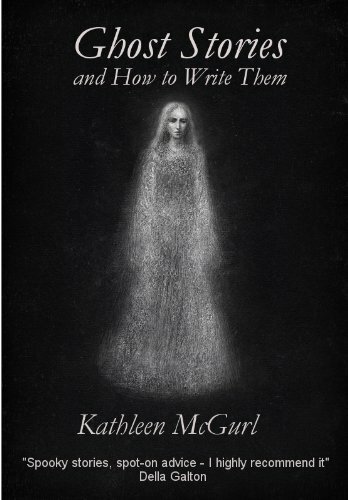 If you're thinking of having a go at writing a ghost story, I highly recommend this book by Kath McGurl. It's called Ghost Stories and How to Write them. Go on, have a go... whooooo!